HÀ NỘI – The city’s Drug Crime Investigation Police Department announced on Thursday the arrest of Dương Đình Đăng, who was suspected to be leader of a large-scale drug trafficking ring. 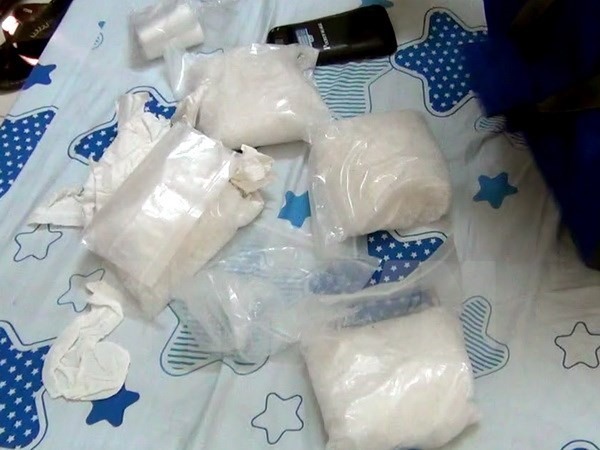 City police had issued a special wanted order for Đăng, 30, who had been allegedly trafficking large quantities of drugs from the northwest region and northern Quảng Ninh Province to sell in the city. Police also seized two loaded guns, three drug packets, VNĐ147 million in cash at a house in the city where Đăng was hiding. At the police office, Đăng, living at Thổ Quan Ward, Đống Đa District of the city, allegedly declared he had transported 4.4kg of synthetic drugs in connection with other northwest rings to develop drug trafficking in the city. On September of 2016, police forces apprehended two suspects of Đăng’s drug trafficking ring when they were transporting 1.4kg of synthetic drugs in Gia Lâm District. According to the two suspects’ testimony, police seized exhibits, drugs, five telephones, two cars, and a gun from their ring. Phạm Văn Minh, 43, living at Quảng Ninh Province’s Móng Cái City and Nguyễn Văn Tùng, 37, living at Hà Nội’s Sóc Sơn District told the investigative body that they were transporting drugs under Đăng’s direction.